My TV crew and I often enjoy the rare privilege of filming inside Europe’s great museums and palaces on days when they are closed to the public. For this honor, we sign up months in advance, often pay dearly, and never regret it. While the logistics of setting up shots can sometimes be a headache, this comes with the immense joy of being all alone with magnificent art. This past year I’ve been aroused (artistically) while alone with Klimt’s sultry Kiss in Vienna; I’ve stood silent and solitary before the mysterious Mona Lisa in Paris; and I’ve marveled at Leonardo’s Last Supper in Milan and Michelangelo’s David in Florence. My experience isn’t the norm, and most travelers don’t have the option of quiet time on their own with art masterpieces. 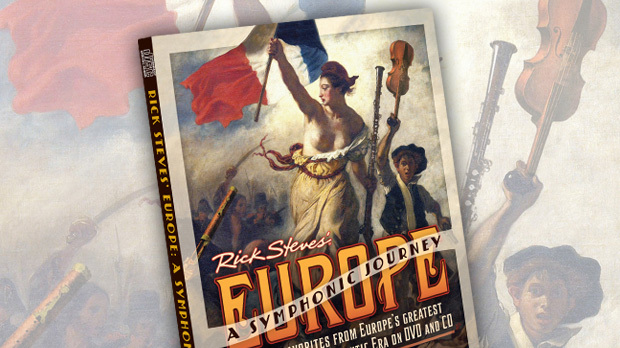 But there are many ways to feel that “wow” moment when traveling in Europe. Start with the thought that “art” is more than a painting on a museum wall or a statue in a cloistered gallery. Tune up your senses, and you’ll find yourself treated to artistic experiences that others miss. Occasionally, something as simple as opening a hotel window can turn into a lovely surprise. In the early evening in Chartres last summer, for example, a thunderstorm rolled through, cleaning out the mucky air. I opened my window, and there in the near distance glistened France’s most famous cathedral, its stones warmed by the setting sun. I positioned my chair for the view, put my stocking feet on the windowsill, and enjoyed one of those European moments. It’s really when you — the traveler — enter the equation that the best art experiences happen. But it can be hard to feel engaged when you’re shuffling through Europe’s most crowded museums on hot, crowded days with mobs of tourists. If you’re traveling in peak season, consider venturing beyond the blockbuster must-see sights. 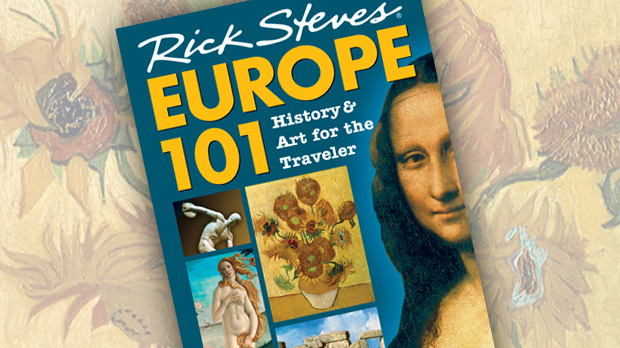 Look for those Europe-perfect art moments to make your own. In Prague, I took a trolley ride just a few blocks beyond the touristy, crowded city core to a nondescript building, the Veletržní Palace. 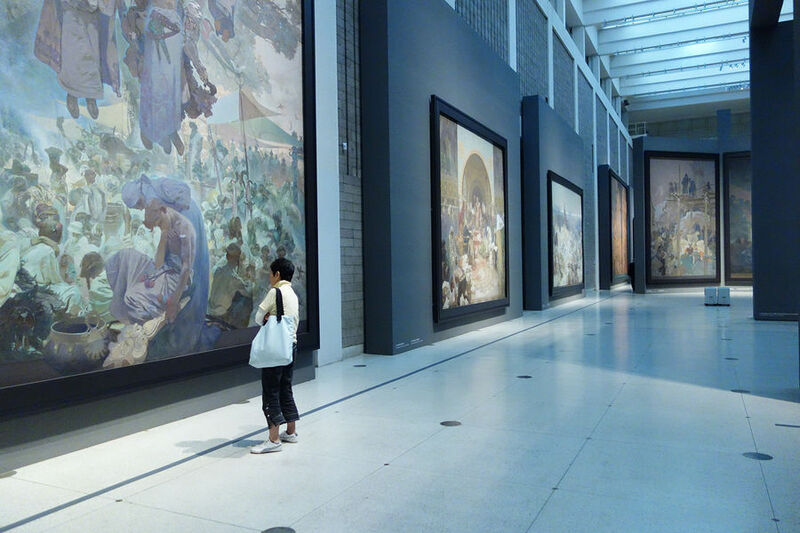 Inside, in a cool, spacious gallery, I found myself virtually alone with the 20 massive canvases of Alfons Mucha’s magnum opus, the Slav Epic. Mucha is well known for his decorative Art Nouveau designs from the early 20th century, but he poured his heart into this expressive painting cycle, which powerfully connects Czech history with the humanity of the Slavic soul and eons of being downtrodden and dominated by neighbors. Staring at these epic scenes with larger-than-life Slav kings, warriors, and maidens, I found myself appreciating the timelessness of the struggles of Europe’s weaker tribes. Some of Europe’s most thought-provoking art is prehistoric — like the Lascaux cave in France’s Dordogne region. 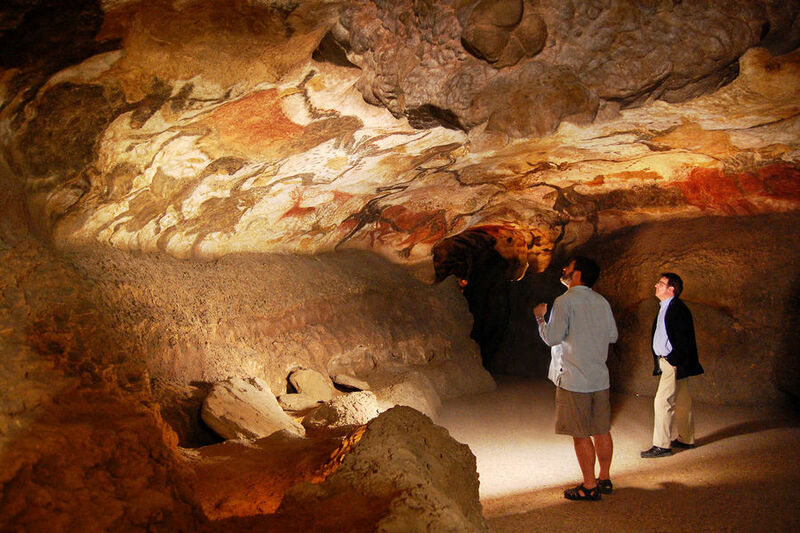 Guides in the area call this cave — with its frescoed horses, deer, and bulls — the “Sistine Chapel of the prehistoric world.” The vast cave looks amazingly like my (very healthy) colonoscopy photograph. But prehistoric caves need help to be brought to life. That’s what museums are for. Looking at the collection of original artifacts in the nearby museum, I actually felt a connection with my ancient ancestors. Their fish hooks and barbed spears would work as well today as when they were made 17,000 years ago. I imagined the fine jewelry, tenderly strung with stag teeth and tiny shells, charming friends, family, and loved ones 12,000 years before more modern people built the great pyramids in Egypt. As travelers, we prize speed — from bullet trains to Internet connections — but it can also threaten our ability to simply pause and enjoy. These days, it’s more important than ever to slow down and smell the roses…or even the people…to notice the play of the up-lighting on an ensemble of Gothic French statues. I was sitting solitary on a bench enjoying the floodlit facade of the cathedral in Reims, France. It was dark, and I was munching on a late dinner — a rustic baguette with cheese. Suddenly the bum on the next bench leaned over and offered me a swig from his crumpled-up plastic bottle of red wine. I didn’t take it…but the gesture and his smile, juxtaposed with that glorious Gothic facade, warmed my meal and helped complete an experience that gave me a memory I’ll enjoy for the rest of my life. Thoughtful, rewarding travel goes way beyond collecting famous sights. It’s more about collecting insights, and appreciating the experiences that surprise, thrill, challenge, inspire, and connect us.